***Home will receive a profession deep clean, including carpets, when the tenant moves out on March 31st. *** This amazing tenant occupied home could not be in a better location! 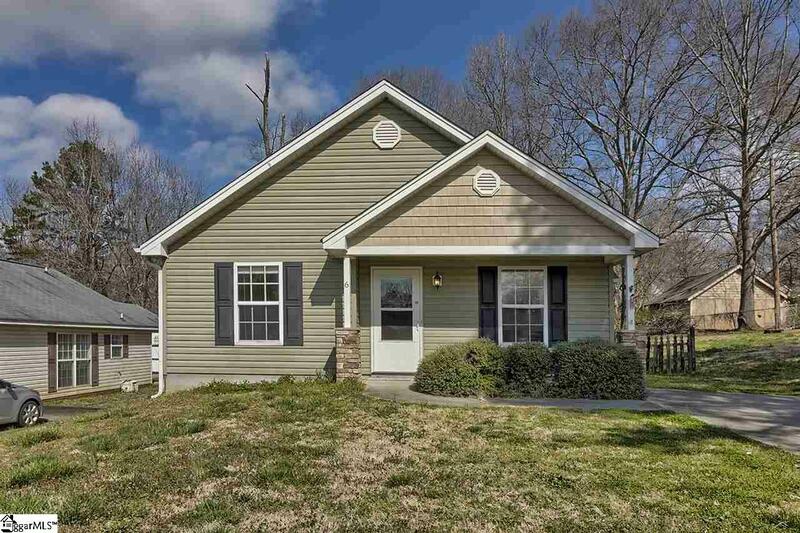 So close to the heart of Taylors, this well maintained beautiful home is less than half a mile from Target and so close to a million more shopping and eating destinations in the Taylors, Greer and Greenville area! The popular Taylors Mill is just a little more than a mile away with all it&apos;s hip coffee shops, eating and imbibing options! The front door of this home opens to the massive open concept entertaining areas of the living room, dining room and kitchen. The ample master bedroom boasts a spacious walk-in closet with tons of room for clothes, shoes and storage. The ensuite master bathroom has a tub/shower, double sinks, granite top, and also plenty of storage. The open kitchen also has plenty of counter space atop the beautiful granite and great cabinet space for all your pots and pans. All, yes ALL of the appliances stay with the home! Including the washer and dryer. (BONUS! The current microwave will be replaced with a brand new one before closing!) The two bedrooms, just off the living room, are a great size for anyone. The 2nd full bath has a tub/shower combo and granite countertops as well! The fenced in backyard is great for dogs and also a great place for outdoor entertaining. The move out date for the tenants is March 31st! Book your showing today, the home won&apos;t last long!